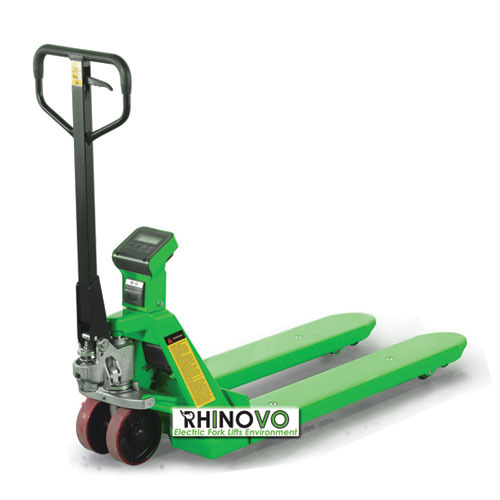 Rhinovo hand pallet trucks with scale measurement offer superb value at affordable price that can enhance operation productivity. 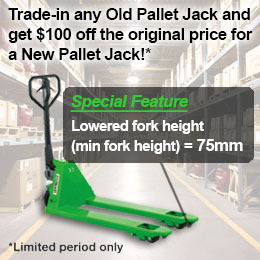 The hand pallet trucks adopt the latest designed instrument and import sensor that provides high accuracy. 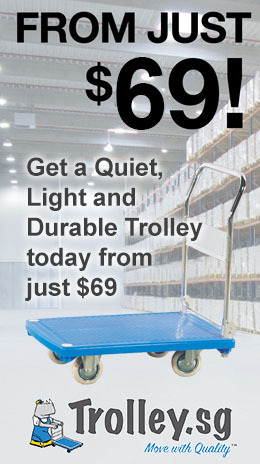 They provide the function of dustproof, waterproof and have the ability to shutdown automatically. Rhinovo hand pallet trucks can also alert users with any lack of paper, low power or low temperature. Most importantly, customers can benefit from this innovative technology that allows convenient weighing and counting of goods when delivering them in or out the warehouse. 1. Innovative design with reliable instrument and load cell sensors. 2. High accuracy : 0.1% maximum error of scale capacity. 3. Dustproof and splashproof, suitable for warehouse/workshop environment. 4. Powered by four AA-size batteries with automatic sleep mode to conserve power.